I have a lot of people ask me how I did it, so what better way than to write about it. I am big on goals and if you had’ve said to me at the start of last year that I would write a book, I would’ve told said you were crazy. But I did. And it started very organically really. 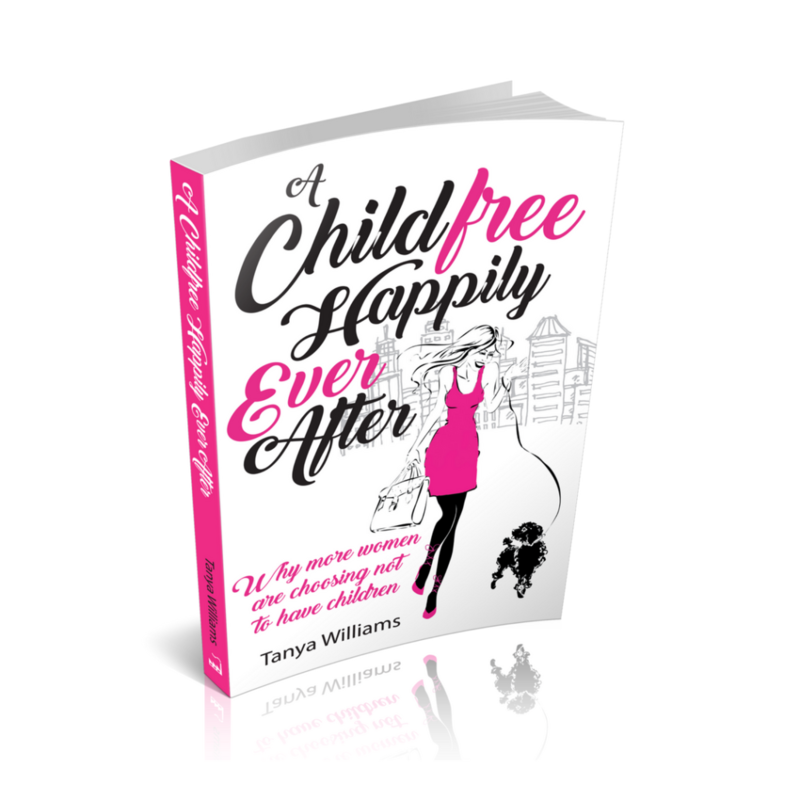 I had the initial idea about 6 years ago when I was interviewed for a local newspaper magazine about being childfree. I wrote a few pages then got busy with life. The idea really took off when I saw a post a friend put on Facebook about parents parking. 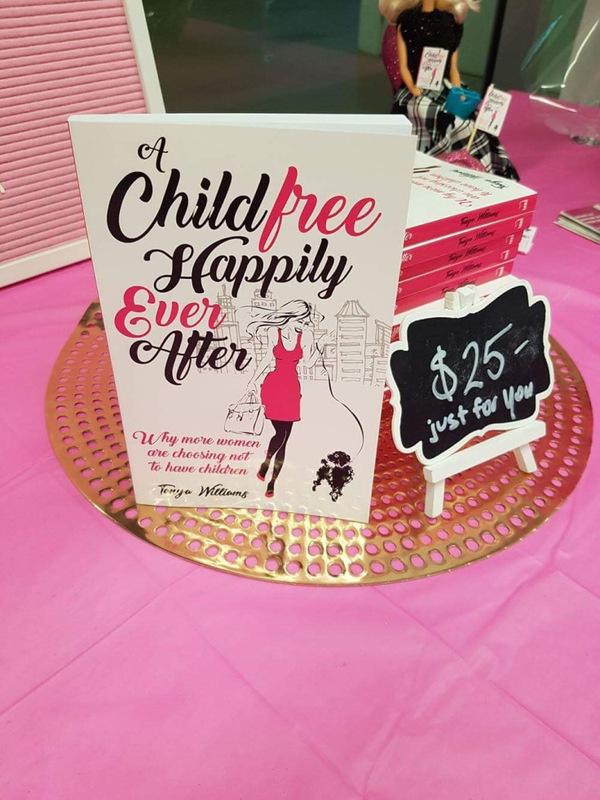 There was a lot of very passionate and judgemental responses, especially towards the parent parking and it got me thinking I need to write a book about this to give some understanding to childfree women and their issues. First, I wrote an outline which was just a bunch of ideas and chapter possibilities. I needed something to provide an initial structure and give me some direction. Then I started to fill in the blanks. I did a lot of research online (thank you Google) and just starting writing. I didn’t put too much thought into the order of chapters, I just wrote. I made sure to schedule time which is very important in order to get any traction. Running a business makes me very busy but you have to make time for this sort of thing in order to make it a reality. Don’t say you want a write a book then commit no regular time to it. Even if its 15 minutes a day – it’s progress. Early in the process I went searching for and found an editor. Jacqui and her team at Grammar Factory were amazing. You need to make sure you choose an editor that gets what you are trying to achieve and edits your genre of book. Jacqui was perfect for me (and I didn’t know it at the time but she was childfree too) so the match was perfect because she totally understood my content. What made it easier for me to complete the first draft was to get out of my everyday environment. One of my friends was going away for 2 weeks and I suggested that I housesit for her and look after her dog in Cairns. And I got to spend quality time in a place I loved plus write. It couldn’t have been more perfect. When I left Cairns, I had 48,000 words written and I was feeling very confident. I submitted it to my editor who called me a week later and said you’ve got the basis for a good book but you are not there yet. My heart sunk, and I thought who the hell was I to try and write a book. We spoke and she shared her ideas which I agreed with in regards to the structure of the book so off I went to rewrite. She had called my work back to about 30,000 words. Ouch! But she was totally right though. I had put too much of my life in there and not supported it enough with stats, research and stories so off I went to do more research and fill in the gaps. So slightly disheartened but still determined, I set about writing the second draft. More research, more rewrites and probably more overthinking it in parts. Then back to Jacqui again to do final edits. Once we had the book done it was time to get cover art and internal part designs nailed down. I had a vision of what I wanted for the cover and I think we went through about 30 variations before choosing the one that was perfect. It can be a long process to do it right so make sure when you get to the end you celebrate what you have achieved. There are many people who say they want to write a book and never do it. So, by doing it, you are already a success. The day I received the boxes of books I was so excited. This was my book with my name on it. I can call myself an author and that feels pretty damn amazing.